Square Enix released new Kingdom Hearts III gameplay at Tokyo Game Show 2018, briefly showcasing the Sora vs. Aqua boss battle. Watch the footage below (starting at 32:00). YouTube user lzuniy also captured new gameplay at the event, a compilation of which you can check out below. In addition to the above, Square Enix shared some new information about the game including character ages, number of mini games, and more. 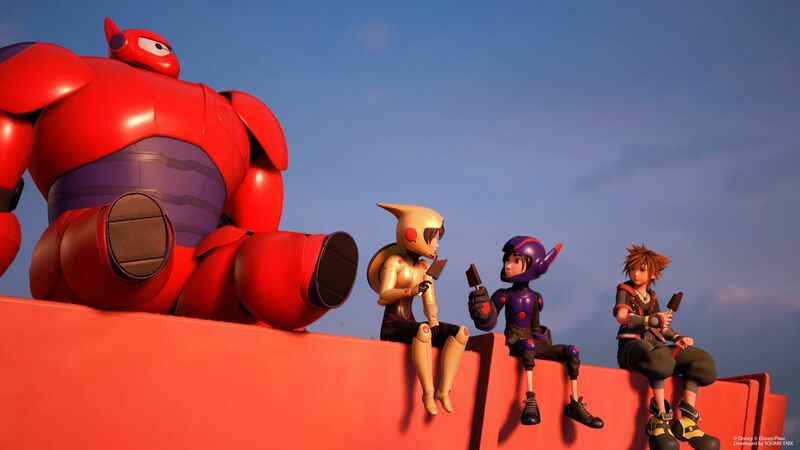 According to GamesTalk (translation via Gematsu), Director Tetsuya Nomura said that Kingdom Hearts III won’t mark the end of the series as he wants to continue telling Sora’s story. The game will feature more than 20 mini games, a secret movie, and more than ten worlds. The development team will also consider online elements once the main story is done. Kingdom Hearts III‘s Gummi Ship will come with two modes: Exploration Mode and Cardboard Mode. The former lets players freely explore cosmos, and the latter offers cardboard, gems, sweets, and other materials to customize the Gummi Ship. Kingdom Hearts III will release worldwide on January 29, 2019 for the PlayStation 4 and Xbox One.